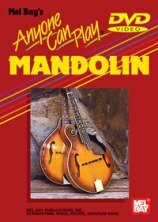 This course is designed for beginning mandolin students. It teaches the fundamentals of mandolin, chord strumming, single-note melody picking, and explains tablature. This method does not require any previous musical experience or note-reading ability. You will learn several well-known bluegrass songs in both strumming and picking styles.